His seascape paintings have found their way into private collections worldwide, former President George W. Bush the elder statesman, who stated, "Dear Mr. Vignari, we are deeply touched, the Sea gives us great strength and comfort, your wonderful painting captures it all". 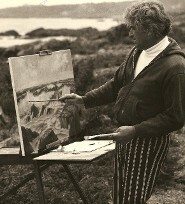 The late John D. MacArthur the noted philanthropist, acquired a large collection of Vignari's paintings throughout his career. His work has a strong boldness and power depicting a soft impressionable quality, in which he has mastered light and shadows, an impact you won't easily forget. "Outstanding, well done, poetry in color", Journal American, N.Y. He has the ability to articulate to people in all walks of life. Characteristic of his Sicilian temperament, a dramatic independence, a living experience. His paintings speak for themselves and have been widely exposed in numerous Museums and Galleries and are viewed in many significant collections worldwide. Our business is run by our family, my husband and I, if he went to paint outdoors I would take care of the Gallery, if he took care of the Gallery, I went to the beach with our two children, Jay and Justina. We had good times and beautiful memories of Ogunquit, Maine. 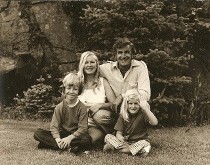 In 1979 we moved to Florida and have visited since that time to see our wonderful friends in Maine and New Hampshire. 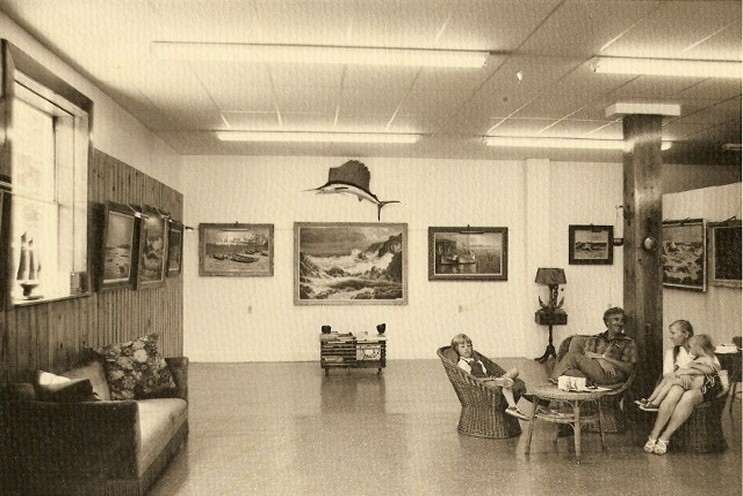 Below is our Gallery in Ogunquit, Maine where we spent over 20 years going back and forth from Florida to Maine for the summer months, our children were brought up there, we enjoyed our time in Maine for the summer and the winters in Florida. We got to know some wonderful people which became our best friends and met so many of our collectors. Our son Jay has gone to heaven and our daughter Justina has given us three beautiful grandchildren we enjoy today. All photos by the late and good friend George Sylvester. 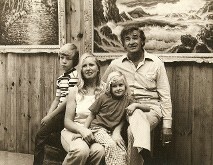 Our Family in Ogunquit, Maine Painting on Location, The Marginal Way. Our Family in our gallery.